Located in Jefferson County real estate, Hillsboro MO homes for sale are a part of a quaint small town that is still close to the metropolitan area. Hillsboro real estate is the epitome of a quiet enjoyable life. This little town boasts a very involved community that hosts various events, festivals, fundraisers, and more. There are numerous home styles that are offered, some set in communities and other on large parcels of land. 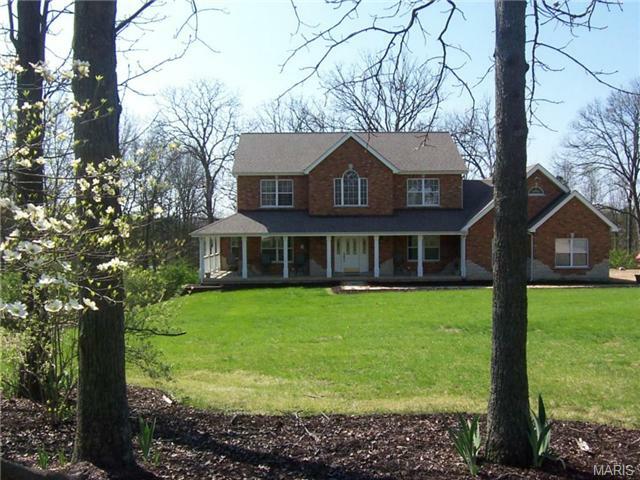 Hillsboro MO homes for sale are located just 40 minutes southwest of downtown St. Louis. Hillsboro MO Real Estate and Hillsboro MO properties are a perfect addition to the St. Louis Real Estate market. Hillsboro real estate is made up of both established and newly constructed homes. These single family homes offer floor plans with 2 bedroom, 3 bedroom or 4 bedroom options. Homes for sale in Hillsboro MO range in price from approximately $25,000 for mobile homes to approximately $300,000. The median home price in 2014 was approximately $165,000. Because Hillsboro is a little farther out you can get a lot of home for your money! Hillsboro is home to the Jefferson County Fairgrounds that hosts fairs, concerts, garage sales, truck and tractor pulls and rodeos! This town is also home to Jefferson College. Low crime rates and well-rated school districts make Hillsboro a wonderful and safe town to raise a family in while still having the convenience of being near larger cities, such as Festus that is only about 15 minutes away right along the grand Mississippi River. Hillsboro is abundant in beautiful and luscious Missouri hills and woods, while also being home to Lake Tishomingo, which makes for some great family fun in the sun in the summers here as it allows for certain boats and its own beach. If you’re interested in learning more about selling a home in Hillsboro MO or buying a home in Hillsboro MO, please contact St Louis County real estate expert, Sharon Colona and St. Louis Realty for a professional and simple buying or selling process. Call (636) 397-7653 or email at scolona@stlouisrealty.net. Lakefront home! Plenty of space here in this wood accented 26 room, 9 bedroom (many of them with their own private balcony/deck), 6 bathrooms, a loft area that overlooks the 2 story great room with a stone fireplace. 4 living rooms total, a game room, a 3 car oversize garage with enough space for a workshop/hobby area, partially finished walkout basement, a butler's pantry, , sunroom overlooking the lake, game room, a circle drive for extra parking, a huge patio in the back for entertaining and additional parking for your toys, a wraparound deck and 2 boatslips! There is also an in-law-quarters/apartment that is accessible from inside the home. Make your appointment today to view this large and unique home. Assessment fees include unlimited golf and cart usage, access to pool and fitness center. Remarkable 2 Story Home on 61.6 Acres. With 80 x 50 Pole Barn - insulated and sky lights, ideal for hobbies, workshop and storage. xD; xA;You have fields for hunting, riding, and 4 wheeling. Woods for enjoying the beauty that nature provides us. xD; xA;Custom built single owners home, creates a warm and fun life style. The front porch welcomes you into the large hardwood floor entry with open stairs. The open first floor,expands out to the back covered deck and stairs to the lower level. xD; xA;Up stairs is private with 3 bedrooms and a large hall bath with double sinks. The Master suite oasis provides room to relax and a view to enjoy. The Master bath is off the back of the house with double sinks, ceramic tile floors, soaking tub, and separate shower. xD; xA;Back to the woods there are 2 fields for hay, food plots, 2 permanent hunting blinds . 35-40 acres of timber land and potential to build ponds or a lake. LAKEFRONT on largest lake in Raintree Plantation. This 3b/4 full bath home has recently been updated, kitchen cabinets were replaced and a few more were added, giving you more kitchen space. Granite counterops, walk-in pantry, built-in ice maker, stainless steel appliances stay (less than 3 years old), open floorplan, 2br with 2 full bth on main floor and 3rd br with full bth on upper level and bonus room above garage. 2nd br is being used as a formal dining room. Master bath has granite on the jacuzzi tub surround and vanity top, there is a walk-in and linen closet in there as well. Walkout Lower level has a large family room, additional sleeping area, full bth, storage space with enough room to park your golf cart and lawn equipment. Beautiful boathouse with slip and newly replaced concrete on the seawall and steps. Concrete sidewalk on one side and golf cart path on other side of backyard. Deck replaced last year with maintenance free composite decking. This beautiful (barely lived in) home at Raintree has a modern open floor plan, 3 nice size bedrooms and 3.5 baths, a divided bedroom plan giving everyone their privacy, The vaulted ceilings and open staircase give this home the wow factor but also keep it cozy with the Great Room that flows nicely into the kitchen and dining room . The deck off the Great room is great for bar-b ques and overlooks the property nicely, plus there are two additional stamped concrete patio's accessible from downstairs or the backyard, everywhere you look there is a window giving the home a lot of natural sunlight. The mostly finished lower level has plenty of space for all types of family gatherings, a cozy wood fireplace with a finished living room, and an extra room great for a family recreation room, full bath, and 2 additional rooms for a nice in home office or a possible additional bedroom. This is a family dream home in a much desired location. LAKE FRONT HOME with security gated access, BEST water front value in Raintree. This 2 x 6 framed ranch is well insulated and sits on a 56 acre no wake lake, one of five lakes. Raintree Plantation has an 18 hole golf course, club pool and club house with weekend happy hour. At the water there is 2 boat covered slip/dock with storage and a covered patio. There is a rear deck and a balcony. The Great Room has a see thru gas fireplace. The basement has a family room, dry bar, a flue for the wood burning fireplace and a guest bedroom suit with a full bath. There is also a project/work room, cedar closet and walk out to a rear patio. There is an off street parking area in front as well. Roof, siding, dishwasher, hot water tank, gas meters, GFIs and oak T&G flooring are less than five years old. The home has been upgraded in some areas and set to meet county code for immediate occupancy. Competing Brokers Price Opinion(bpo) of 318.5K gives you instant equity or decor allowance. Custom design & luxury are uniquely found in this 5 bedroom/3.5 bath brick & stone atrium ranch home.3,800 +/- finished sq ft of finished living, Nestled on 1.39 acres. Conveniently located off Hwy Z in R-3 school district. Multiple vantage points which include a 10 ft entry foyer, with natural lighting from sunburst window draws you into a voluminous layout for entertaining. Open floor plan, floor to ceiling atrium glass w/spindled staircase. Great room boasts vaulted ceilings over elegant dining area. Gourmet Kitchen with generous amount of custom cabinetry, center island & coffee bar, and breakfast area. French doors lead to BBQ area & patio with quaint gated area. Main floor laundry, pantry & half bath situated off kitchen. Luxury master bed/bath, 2 guest bedrooms & 2.5 baths complete the main floor. Finished lower walk out level, 2 addit' bedrooms, full bath, full kitchen with wet bar, rec area & media room. Perfect for in laws or teenagers. 3 car garage! Live in Your Dreams ! FABULOUS FLOOR PLAN! This 3B/2.5B Ranch Sytle Home is being built on 1.44 +/- unrestricted picturesque acres. As you enter the foyer, you'll be upon the great room with a vaulted ceiling. The kitchen includes custom cabinets, center island, gas stove, microwave & dishwasher. You'll love the W/I pantry and laundry room that includes a window. Before you exit to the oversized 2-car garage, you'll see a 1/2 bath for your convenience. The Breakfast Room is sure to delight as you gaze out the sliding glass doors to the covered 12' x 24' concrete patio. This is the upper section of your fully enclosed 3rd car garage/work shop/tool shed or simply just for your outdoor toys. The master suite includes a coffered ceiling and a W/I closet. The master bath features a shower, double bowl sink, a linen closet and a window. There are two more bedrooms on the main floor. The lower level is ready for your own ideas. You can easily add a bed/bath & kitchenette. The only thing missing is YOU! Location is the key here! Seller will accept any reasonable offer, but you should consider this...Location! Currently zoned residential, however with commercial zoning (not sure it is possible, but seller believes so) this would be an outstanding spot for a quick stop, gas station, ect. Right across from Hayden rd, with access from 21 or gravel road. This is a high traffic location! For the person who wants a project, well here it is! This existing home suffered a fire in 02/2018, so the condition of the interior is rough and unknown. Septic was serviced and in good condition just prior to the fire. Original home was 2040 SF on main level, 3bdrm 1 ba with den, full mostly finished basement. Seller has not been in structure since fire, may have other conditions as a result of year long vacancy and weather. Builders pay attention to this one... No REASONABLE offer refused! Info on house rooms/dimensions is not verified. LOCATION IS KEY! An opportunity to own a few acres and a lake home on Lake Glenn Shoals! Custom built by seller, this unique brick home offers over 3000 sq.ft. of living space. Living areas offer lots of windows for beautiful outdoor views! The main floor has the master suite area with full bath and laundry. Cathedral ceilings and open staircase leads to two additional bedrooms and another full bath. All closets are cedar. The walkout basement is mostly finished and includes an additional kitchen and bath! Nice, private wooded setting with leased lake lot from the City of Hillsboro for $175/yr. Seller owns private lane. Gorgeous Modern Brick and Stone front +/- 2090 sq. ft. Ranch with Black Stainless appliances on double lot in Raintree Plantation. Quartz counter and back splash. Jacuzzi tub/seperate shower, full bath rough-in plumbing in basement - must have code (Gated Community). 4 lakes to enjoy including a +/-126 acre lake and a +/- 53 acre lake. Owner is Broker/Agent. 13.2 acres, Cape Cod style 2 story home, 3 BR, 2 BA, and additional rental house. Main house renovated in 2000. Detached oversized 2 car garage. Secluded acreage, mix of open and mostly timber. Large Deck overlooking backyard and woods. Suitable for hobby farm or horses. Additional 1 xBD; story house has good roof and bones, needs some TLC; suitable for family member or for lease income. Wildlife and perfect areas for food plots and bow stands. Minutes from I-55 Pevely exit. Seller offering AHS home warranty with septic upgrade option. Renovated in 2010. Seller will also do lease purchase. WOW!!!! What a home this is ! Be sure to check out the pictures ! 3,670 sft of Awesome living space!!! xD; xA;This 4+ bedroom, 4 bath home with 2 car garage and large pole barn on 2.5 acres is very unique offering several patios, small koi pond, large entertainment area around the pool for those special parties ! There is a full kitchen in the lower level for entertaining, teenagers or the in-laws ! There is a patio with wood burning fireplace just outside master suite on lower level. The master bath is huge with a double shower and whirlpool tub. Plenty of storage space. Newer a/c and furnace; Big Chief wood burning stove attached to ducts to heat the whole house if needed or preferred ! 1 yr old 80 gal water heater; Roof is 7 yrs old. xD; xA; xD; xA;Buyers must be pre-approved for financing or have proof of funds to show. Welcome to this BEAUTIFULLY maintained home located in the peaceful Lockporte Landing Subdivision. This spacious 4 bed, 3.5 bath home features 9 x2019; ceilings, 3 car garage, and a fully finished lower level. The main level boasts beautiful wood floor throughout, spacious family room with wood-burning fireplace and a large eat in kitchen, complete with custom cabinets, stainless steel appliances, as well as new countertops and custom stone backsplash. The upper level has a large master suite with walk-in closet, luxurious master bath complete with large soaking tub and walk in shower. The additional bedrooms are equally spacious as is the loft. The amazing lower level offers a large rec room, custom bar with concrete counters and stacked stone front, additional sleeping area and full bath. Lastly, the level lot offers a fully fenced yard complete with a large patio and deck. Make sure to schedule your appointment today before it x2019;s gone! Est 2002: This 3BD/2BA Hillsboro home is like none other. The rustic A-frame stands handsomely on a hill surrounded by 3 acres of beautiful wooded lot. Your first steps into the home x2019;s foyer are inviting & warm w/ tongue & groove pine walls & one-of-a-kind Japanese ceramic tiled floor. To your left, the stunning family room has a 20 foot cathedral ceiling & exposed loft, ideal office or place to take in the views. Ceiling to floor windows surround the beautiful gas fireplace making this room a real showpiece in all seasons. The kitchen has stainless steel appliances, an Italian glass backsplash and plenty of counter space w/ walkout to a huge deck, perfect for summer barbecues and entertaining. There is also a very large all-season enclosed porch as well, so much useable space. The Master-suite has a large walk-in closet and master bath has a stand up shower and unique walk-in soaking tub. The clean basement has high ceilings w/ walk-out ready to finish. This property won x2019;t last long! This is a to be built Littleton Model. This 2 story home offers 4 bedroom and 2 1/2 baths with approximately 2,805 sq ft of living space. Included features are a 2 car garage, a 2-10 year warranty, partial brick front, window grids in front, house wrap, 20 ft wide driveway, sodded front yard to front corners, six panel doors with white trim, Moen faucets, smooth top range, dishwasher, disposal, smooth walls and a hardwood entry. This home qualifies for zero down payment and low monthly payments. Restrictions apply. Backed by one of the best warranties and builders in the business-Tinnin Homes. 7 months old & Beautiful! Looking for that forever owner!! The home embraces you when you enter into the Great Room with hardwood floors, gas fireplace, warm color pallet & windows soaring!! There are vaulted ceilings, windows with transits allowing all of nature to be observed, walkout to the 23 x 12 cedar deck & enjoy the trees as a serene oasis. The split bedroom floor plan has an over sized master suite with walk-in closet, whirlpool tub, onyx custom shower, and double vanity sinks, all on ceramic tile floors. xD; xA;Beautiful window over the whirlpool tub-floods the room with light. The master bedroom has hardwood floors ,a triple window to relax in the view of the trees. The kitchen is all white with a pantry cabinet, granite counter tops & a 6 ft island with over sized drawers. On the lower level is a beautiful light gray wood look floor with matching wall color, family room with a walkout to the woods. Lower Level 4th bedroom in matching color & floors with a full bath.